Minimum Wage | What Did You Say? There’s a New SCANDAL in Town and the DNC’s Name is ALL Over It! 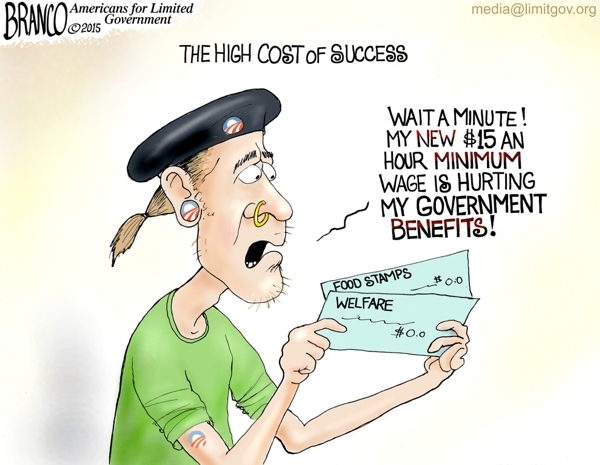 The Left is always fighting for a higher minimum wage. It’s part of their blood! Take Bernie Sanders. He rallied behind the “Fight for Fifteen”, a group that supported $15 an hour minimum wage. He loves the idea! And Elizabeth Warren. Old Lizzy wonders why the minimum wage isn’t $22 an hour (yes, she’s insane). Not only is she for an outrageous minimum wage, but she believes she is the “champion of women’s rights” as well. But liberal hypocrisy always shines through. Bernie’s interns during his presidential campaign, they were paid $12 an hour. And Warren has a worse record. Her interns aren’t paid at all! And if you are a woman and manage to work for her with pay, you will find you wages equaling only 71 percent of your male counterparts. But that’s just the tip of the iceberg. The people who intern for the DNC are expected to work overtime. Then they have to sue to be compensated for their work. Dozens of field workers have filed a class action lawsuit against the Democratic National Committee, claiming the party that is pushing employers to pay a $15 minimum wage and more in overtime failed to pay overtime and minimum wages to its own employees. Justin Swidler, the attorney representing the field workers, argued the Democratic Party failed to pay workers a minimum wage and denied them overtime compensation. The 2016 Democratic platform pushed for a $15-per-hour minimum wage, a nearly $8 increase from the current minimum, and promised to defend an Obama-era regulation forcing employers to pay a higher rate to employees for working more than 40 hours. Some of the Democrats’ workers put in 80-90 hours per week, according to Swidler, and got only $3,000 per month in compensation. “They got paid a flat salary of $3,000 a month, which isn’t even minimum wage for some of the hours that they were working,” Swidler said. The Democratic Party, Swidler noted, claimed it did not have enough money to pay workers overtime. “One of the arguments that the Democrats are making is that they just don’t have the money to pay overtime to their workers,” Swidler said. Really, not enough money? Well, OpenSecrets reported that the Democrat Party raised $372,182,925 in 2016, spent $368,480,666, and had $11,788,858 on hand. What the heck did they use all that money on?! It’s the DNC though; answering that question would lead to even more scandals. Bob & Ron’s Fish Fry is closing as predicted months ago. New York’s new minimum wage is being cited as the main reason that a popular Albany restaurant is closing its doors after serving the community for decades. An Albany area fish fry restaurant is closing its doors after nearly 70 years in business, and the owner is pointing to New York’s $15 minimum wage as a major reason for his establishment’s downfall. Bob and Ron’s Fish Fry, described by New York Upstate as an “Albany institution” featuring “the best fish fry in the Capital Region,” announced they’d be closing their doors in less than two weeks. The owners took to social media over the weekend to make the announcement. Responding to fan’s of the beloved restaurant, the owners posted their reason for having to shut down Bob and Ron’s. “To be honest there is no way we could pay the high minimum wage that is coming,” they wrote. Owner Dan Zonca was featured in a TWC News report when Governor Cuomo first unveiled his plans to enact a $15 minimum wage throughout the state, a plan that recently came to fruition. Zonca warned that the unilateral minimum wage hike would put him out of business. “There’s absolutely no way I could take a 52 percent jump in my payroll,” Zonca said, accounting for the basic benefits he provides his employees. Minimum wage activists celebrate their victories as more states adopt the higher wage but they’re rarely around to help pick up the pieces when a small business owner loses his or her livelihood. Your heart also breaks for the people who lose jobs and the community which loses a favorite business. The first accomplishment of California’s pioneering $15 minimum wage law is killing the revival of America’s clothing industry. The company did not tie the announcement directly to California Governor Jerry Brown signing of the nation’s first statewide $15 minimum wage on April 4. But the layoffs started shortly almost immediately after Brown’s action, and were announced on April 14 as labor organizers filled Los Angeles streets with fast-food workers set to strike, supported by unionized home-care and child-care workers. At the turn of the 21st Century, Los Angeles County was the “rag trade” capital of America. With 4,000 active apparel-making sites employing almost 90,000 workers, the Los Angeles area was over twice the size of the rag trade in the New York region. Apparel-making got cut in half over the next decade, as Chinese and Asian imports coming through Los Angeles ports sky-rocketed to $46 billion. The number of local apparel-making sites fell to 2,200 and local industry jobs shriveled to 46,000. 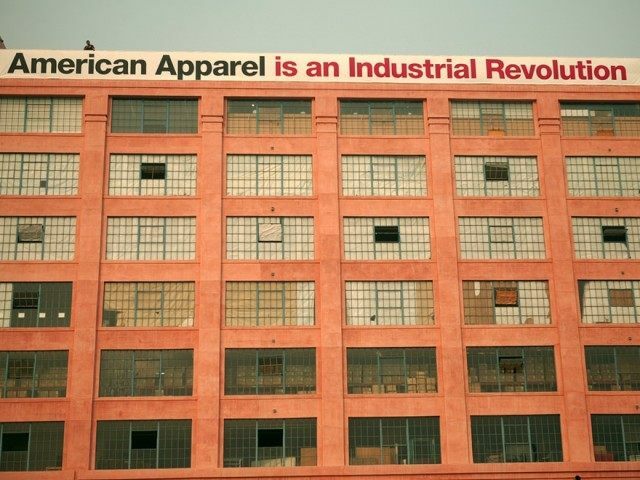 But according to the California Fashion Association, Los Angeles apparel-making was back to growth by 2013 as a “steady inflation rate” in China, driven by higher labor costs, increasingly pushed apparel manufacturing and textile contractors to move to lower wage countries like Vietnam, Cambodia, and Bangladesh. Coupled with high sea, land, and air shipping costs, the advantage in outsourcing apparel-making versus U.S. manufacturing became much less attractive. Last year in Los Angeles County, there were 62,774 workers in apparel-making and 10,887 workers in textile manufacturing. Although imports were still substantial, local companies booked revenues of over $18 billion and paid workers $6.4 billion. Average rate of pay for fashion designers was $35-per-hour, and the average pay for apparel and textile workers hit $15-per-hour. By capturing 36 percent of all U.S. apparel manufacturing, the Los Angeles County fashion ethosphere also supported 3,770 fashion designers, 5,590 cosmetics workers, 6,985 jewelry workers and 5,904 footwear workers. Despite President Barack Obama’s rosy report on the strength of the economy during his last State of the Union address, the economy is still struggling mightily, as evidenced recently by an announcement from retail giant Walmart. Walmart recently made known that it would be closing hundreds of retail stores in the U.S. and around the globe, potentially laying off thousands of workers. One of those Walmart stores, just closed on Sunday, was the downtown Los Angeles “Neighborhood Market” location that served the largely Hispanic and Asian communities of Chinatown, according to Breitbart. The retailer cited a “number of factors” taken into account in deciding to close the store, but the fact that L.A. just raised its minimum wage to $10 per hour, on its way to $15 per hour by 2018, was likely one of the main factors in the decision. Sadly, the largely impoverished community had fought for years to get Walmart to open a store in their area, but the retailer has been consistently attacked since by liberal labor and environmental activists and union organizers, despite the fact that most of the employees of the store rejected efforts to unionize them. Anyone with even a modicum of economic understanding knows that arbitrarily raising the minimum wage, which means higher labor costs, will result in lost jobs and closed stores as employers attempt to balance the thin margin between their profits and expenses. We have already seen the steady creep of automation making its way into the fast food restaurant market in response to the increased labor costs that result from increased minimum wages for unskilled and replaceable entry-level workers. Conservative Tribune is in favor of higher wages for workers who earn them. We are not in favor of statists at the federal, state or local level arbitrarily setting wages that are better determined by the free market. Please share this on Facebook and Twitter to help spread this story about the Walmart store in L.A. closing its doors, at least partially in response to the increased minimum wage.